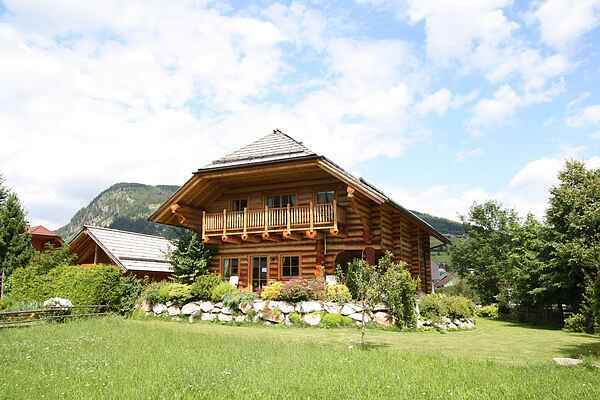 This beautiful detached villa, built of logs in 2016, has been completely refurnished and offers spacious accommodation for 10 people. The finish is entirely in the style of the house. The large kitchen is in the middle of the ground floor, with access to the large dining room. Between the kitchen and living room, there is a beautiful wood-burning stove that provides wonderful warmth. On the ground floor, there is a double bedroom with bathroom. On the first floor, there is one bedroom with bathroom ensuite and two bedrooms with an extra bathroom in the hallway. After an active day, you can unwind in the large sauna, which is in the basement of the house. You'll also find another bedroom and bathroom here, accommodating two people. This holiday home is highly suitable for several families who, as well as being together, also enjoy their privacy. Mauterndorf is situated between different ski areas such as Grosseck, Obertauern and Katschberg. The ski bus from Mauterndorf goes to all these areas. The ideal starting point for skiers who like to experience different areas. Also, in the summer, the beautiful surroundings of Lungau have a lot to offer the active and less active holiday maker alike.